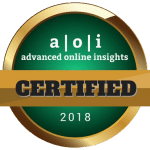 Digital is now the major marketing channel, and the majority of many companies’ investment is going to search engine optimization (SEO), the process of obtaining traffic via the “natural,” “free,” “editorial,” or “organic” results in search engines. It’s SEO promotion that will propel your company to success. You can start with the application of simple techniques and basic principles, just to get a foothold. When amply equipped, you can put in your own style and creativity. Be committed to the process by knowing the rules governing search engine optimization, and by playing by these rules carefully. It’s going to be hundreds of hours spent on trying to get a clear grasp of things, from Meta tags to XML sitemaps, and everything in between. But don’t be afraid. It’s going to be fun when you get yourself familiarized with how things are done. Just what is Search Engine Optimization? Search engine optimization (or SEO) is a process – as we have already mentioned. But we know there are rules to follow, which qualifies it as a “marketing discipline.” That discipline is focused on increasing visibility by getting a website to appear on the first page in search engine results. Search engine optimization encompasses both the creative and technical elements that are required to advance rankings, increase awareness, and drive traffic. It consists of parts. On your website, search engine optimization parts include the words you use on your pages, the links, tags, graphics, etc. All these elements form the structure of your site. How this structure is understood by search engines is a major determinant of whether your site deserves recognition, and consequently a good ranking. Search engine optimization may target different types of search, including video, academic search, image search, news search, and vertical search engines that are related to specific industries. A search engine is a program available on the internet. The program is designed to help searchers find the files and documents containing keywords used in the search, although keywords are not the only important element in search engine optimization. After keywords are inputted in the search engine box, and the searcher has directed the engine to proceed with the search, a list of results will be displayed by the engine. If your files and documents have been found to be relevant to the keywords entered in, links to your site or to the pertinent pages will be included in the list. Searchers have several engines they can opt to use, with each engine having its own unique abilities and features. Today, Google is the most popular of them all. It’s followed by Yahoo and Bing. The work of search engines is composed of three stages: crawling, indexing, processing queries and ranking results. In the crawling stage, a search engine uses programs (also called spiders or bots) to “crawl” the internet, searching for pages. When a page is found, it then proceeds to store it, in the process called indexing. The index will contain all the pages related to the search. Then the engine processes the query, which ends in displaying the results based on what is being looked for. At the final stage of the process, the search engine runs a categorizing equation to see which results are the most important to the query. This sorting equation is called the algorithm equation of that search engine. Each searching is using a different algorithm with different priorities. That means they have different criteria for determining which results are the best to be provided to the searcher. 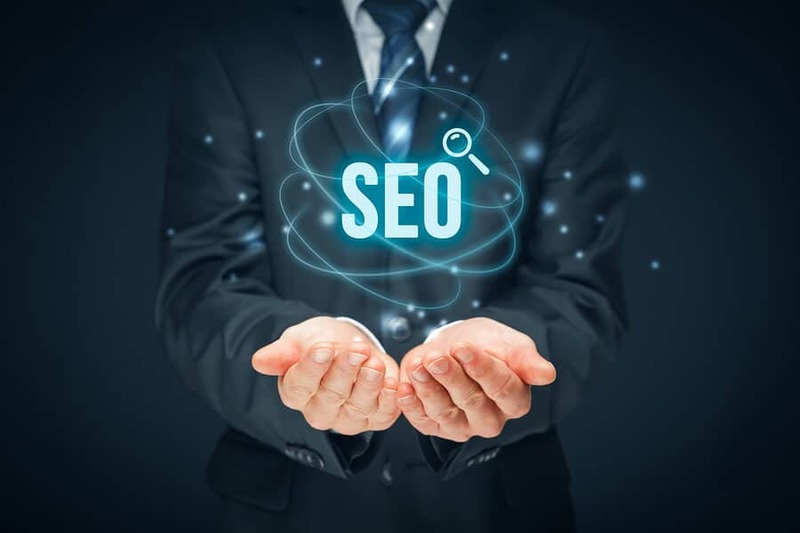 Search engine optimization professionals dedicate much of their time trying to get a sense of how each search engine’s algorithm works, but only a few select workers in the search engines’ companies know these algorithms completely. Of the many whose algorithms we are trying to decipher, here are the search engines that stand out. – Undoubtedly the cream of the crop, Google has the biggest market share with 1.6 billion visitors on a monthly basis. It has 72.48% of the world’s market share of searches. – Bing has 400 million visitors per month. Reportedly, it’s better than Google in video search. – Following Bing is Yahoo, with 300 million visitors per month. The engine was purchased by Verizon for $4.8 billion. – With 245 million visitors per month, Ask has been ranked higher than Google in terms of Q&A matches. – AOL has only 125 million visitors per month, but the search engine is eyeing a possible merge with Yahoo soon. SERPs (Search Engine Results Pages) are pages displayed by a search engine as a response to the query of a searcher, their main components being the lists (or results) related to that query, although these pages may contain elements other than files and documents. These other elements include advertisements. Generally, results are categorized into organic and sponsored. Advertisements belong to the latter. To the first category belong all that has been retrieved through the engine’s algorithm. The results are commonly ranked in accordance with the relevance to the keywords entered in by the person making the query. Due to the large numbers of items that may be related to a query, there are usually a lot of results displayed. But the search engine or the searcher can limit the number of results per page. As a result of the limitation set, the results shown on the first page are deemed to have the highest relevance. Results on succeeding pages have lower relevance. A keyword, in the context of search engine optimization, is a word or a phrase that represents the contents of a webpage. It summarizes a page’s content. There are two variations for keywords: single keywords and keyword phrases. A single keyword contains only one word. For example in the search for “pink shoes for babies,” a single keyword that can be used is “shoes”. The whole phrase may however be used as a keyword phrase option. A keyword is an integral part of its page’s metadata, which means it’s a vital component for search engines to detect as it searches related pages that are appropriate to a search query. People have abused the keyword system and began using “keyword stuffing” practices. As a response, the search engines decided to reduce the importance of keywords in their system. – a query performed by a user in the hope of satisfying his needs for information. This type of query is distinctive in that it’s usually done using plain text, or hypertext with optional search directives. – the use of specialized engines in order to perform a search with geographical constraints. 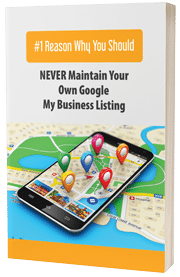 This is usually done to search for listings of local businesses. – the type of search to use when one wants to find images that are similar to the one already shown in search results. – a video search is one that is used to request a search engine to crawl the web for video content. Some engines allow users to search for videos based on the length of the clips or video format types. – one performs this search by typing keywords in the box specifically provided for news searches. – as opposed to a web search engine, a vertical search engine focuses on a particular section of online content. Content areas for these alternative engines are based on media type, genre, or topicality of content. Organic search results are listings displayed by a search engine in relation to their relevance to search terms or keywords. They are not advertisement items. In contrast, the non-organic results are ad-based, including pay-per-click (PPC) advertising. The main difference between the two is that traffic coming from the organic type is free, while the one generated through PPC is not free. As the name suggests, the advertiser has to pay a monetary amount on a per-click basis. Marketers have the PPC option for better positioning in search results. Where exactly your advertisement will appear depends on factors such as targeted keywords, landing page keywords, etc. But no matter what, you should expect your ad to appear either on the top or the bottom of organic results, where it can be easily seen. By paying more, you can ensure your ad will appear on the first page of search results. According to a study, organic search is the primary driver of traffic to business websites, while social search hardly sounds a blip on the radar. But social is not the worst performer after all. – The study claimed organic search drives more than 50% of visitors to B2B and B2C sites. About 73% of organic search traffic was directed to business services sites. The business sector also received the smallest shares in terms of traffic from email, display, and referral. – Across all sites, traffic share for social search was placed at 5%. – Paid search garnered 10% for traffic share. – The kind of traffic that goes directly to the site. Share is less than 5%. Referral Sources – Share is less than 5%. You may be inclined to think that the mobile revolution is significantly affecting search traffic. According to a report, this inclination has a good basis, as people are excited to talk about the traffic coming into their websites from mobile, and that at the latest count mobile has clearly shown to be leading desktop traffic. Should you base your next moves solely on this? According to the same report, the lead may after all be misleading. There are other factors to consider such as length of time spent by visitors on websites, bounce rates, stats by industry, and so on. Although the percentage share of visits garnered by mobile is 59.9%, it pales in comparison when it comes to length of time per visit. Desktop traffic spends about 1.9 times more time per visit, when compared to mobile traffic. This is just an example for you to ponder. But there’s no doubt that the mobile force is slowly catching up. But you need to see whether the good figures for it translate into actual sales. This refers to measures that can be applied within a website to improve its ranking. Here are factors used as a set of criteria for ranking purposes by search engines. – Search engines have the power to identify which content is relevant and which is not. Apparently, Google is seen to be the best engine in terms of displaying only relevant results, which, according to insiders, is the reason why it’s number one. – Content quality areas being checked by search engines include reading level, grammar and spelling, comprehensiveness, uniqueness, and positive signals (such as the absence of repetitive keywords). — Longer content – In-depth and longer content makes it easier for search engines to understand a page. — Visitor’s intention – Content that is tailored according to users’ expectations is more likely to connect with them. – Considering your target audience’s online experience on your site is critical to your business. – Pages that load slowly have higher bounce rates. Bounce rate is the percentage of visits wherein the visitor landed on your site, then left without browsing to any if its additional pages. – Search engines loves websites that automatically format according to the gadget a user is using to accessing a site. – These are links that point to other pages within your same domain. These links connect your content together. By doing so, they give Google a good idea of your site’s structure. Have more links to your most valuable pages. – Improve your load time and provide engaging content, so your visitors will stay longer and visit more pages. – This is the title of the webpage, and is the clickable part of what appears in the SERP listing. It’s often used in social sharing. – another part shown in search results. It summarizes a page’s content. ( tags) – There are 6 sizes: <h1> to <h6> These tags are used for creating headings. (<alt> tags) – For all images on your site, it’s the alt tags that give the description about them. – Sitemaps are useful in that they list the pages on your site. This way your site will be fully indexed by search engines. – These are files that will help ensure that search engines crawl and index your site properly. In contrast to the on-page type, off-page optimization refers to measures that can be taken outside the website to improve its rankings. This is where backlinks play a very important role. These are incoming links from one website to another. Some consider them to be the most effective tools in improving one’s ranking. What Makes a Backlink Powerful? – The page linking to your site must have a high degree of relevancy, the content surrounding the link must be also relevant, and the site linking to you must itself be relevant. – The linking site must be an authoritative site. Imagine the kind of impact you will get if BBC or Forbes links to your site. – Besides the authoritativeness level of the linking site, the site must also be a trusted name in the industry. – (Domain Authority and Page Authority) – Pages and domains are ranked in terms of their expected rankings in search results. Get links from those with high authority ratings, and your own authority rankings will also soar. – It’s believed that these types of backlinks are the most valuable in SEO terms. This is because links from these domains are the most difficult to obtain in the open market, and one has to be a government or an educational establishment first before links from these organizations can be granted. What is meant by “White Hat” and “Black Hat”? In search engine optimization, there are good and bad practices, and they are categorized as white hat and black hat practices, respectively. Black hat SEO techniques are tactics and strategies that are aggressive and focused only on search engines and not the human audience. They usually violate guidelines set by search engines. On the other hand, white hat SEO adheres to fair practices and bases its structure approaches according to the needs of a human audience. – refers to the practice of loading a page with the same keywords. Often these keywords are used out of context, or appear in groups. – Buying or selling links violates search engine guidelines. If caught practicing it, Google and other engines will punish your site. You might face a permanent ban from the search engine’s index. – This refers to content that is either completely or considerably similar to other content within or across domains. – refers to text on a webpage that is not visible to humans, but is visible to search engine spiders. Hidden and unhidden texts, and keywords in particular, are all indexed by these spiders. – Some go as far to create websites that are designed solely for spiders to crawl, and to make the site land in the top 10 search results. But when the visitor goes to that website, it redirects to different one. The same indexing is applied as if the site is genuine. Serious penalties are imposed for this offense. – Sometimes webmasters use “doorway pages” (aka bridge pages, portal pages, jump pages, gateway pages, or entry pages) solely intended to rank for a search term, but which direct the human visitor to a different website. These pages are not for human use, but attempts to trick search engines to improve one’s traffic. White hat SEO practices are also designed to improve traffic and ranking, but in contrast to black hat practices, they are legitimate. Examples of these practices include ensuring that URLs and titles have relevant keywords, adding buttons and links that will help attract visitors to go deeper into the site, avoiding keyword stuffing, posting video and graphic content, and featuring related links on social media sites. Grey hat SEO is not something that’s easily identifiable. It employs practices that, while not clearly “black hat” may be questionable. One way to see the meaning of this third category is to ask if it’s “ill-defined” according to the guidelines set by search engines. Another way is to determine whether people disagree on the legitimacy of a certain practice. If there are doubts being raised, then the practice can be categorized as “grey hat”. A Google penalty is the negative effect on the ranking of a website. A penalty on an erring site may follow after an update in Google’s algorithm, or after a manual review by Google personnel. The penalty can be the result of a deliberate penalization due to several black hat techniques employed by the site. – Spamming can raise the ire of Google. This offense is committed in a variety of ways, such as using thin or shallow content, cloaking (rigging one’s site in order to show Google a completely different version of it), keyword stuffing, hidden texts, piracy or DMCA takedowns, ads or top heavy layout, paid links, and link spam. – This is the tool used by Google to catch sites that have thin or shallow content. That means the content of the site is lacking in substance. – Another catch-erring-site tool of Google that is designed to spot sites using paid links or acquiring them through illegal link networks. A site can also be penalized if it has a “link profile” having too high a percentage of anchor text containing a particular keyword. – Previously called the Google Webmaster Tools, the Search Console is a free service that allows checking of indexing status and optimizing visibility of websites. The name change took place on May 20, 2015. – This is the blog/forum of Google designed for use by webmasters. This is the site for webmasters to follow Google’s launches, changes and updates. Links to relevant educational content and help resources are posted on this site. – This contains the guidelines to follow so that Google can find, index and properly rank your website. For many business owner, learning and utilizing search engine optimization techniques themselves is not a viable option. After all, search engine optimization is a very time consuming endeavor, and a business owner must devote his or her time and efforts to running their business. A viable alternative is to hire the help of an SEO and search engine marketing specialist. When doing so, it’s important that you work hand in hand with a reputable agency. They can guide you through the various steps to take to improve your ranking and increase your traffic and sales. – They will determine the right keywords to use, and how to properly place them at various points on your site. – It might be difficult at first to have an overall image of what your site will look like, and what content the pages will have. These people have the right skills to build a good site for you. – Content building is a demanding task. What should be included, and what should not, will be decided by these experts. – Running a site and continuously improving and updating it to catch keep with the latest SEO guidelines can be one of the most challenging tasks. A good SEO agency will stay abreast of the latest change to the search engine changes and algorithms. Steer clear of companies that are not able to provide you names of previous and current clients. References may not be able to provide you analytics, but if they can say their rankings improved due to the efforts of the candidate under your scrutiny, it can be a good reason to not delete that candidate’s name from your list. Ask them what methods they’re going to use, and how long it will take to begin seeing results. This is very important, as some agencies may use a “trial and error” approach, searching for the best methodology to use while your expense balloons. Do you have experience in my niche? The truth of the matter is, years of operations is not necessarily a guarantee of effective service. While a lack of experience in your niche or industry should not be a disqualifying factor, such experience can be a big plus, and could be what tips the scales in that agency’s favor, everything else being equal. This is one of the basic questions, but remember that their track record and references are more important criteria in your decision making. It’s not too much to ask for this, because it’s their duty to explain what their clients can expect from them. Let them go over your site first, to weed out existing problems like error pages and broken links. From there, ask them what measures they will take to improve the entire SEO system for your site. For one, can they do something to improve your local SEO? For another, are they going to give your site fresh content? Will you send me a monthly report? Communication styles among consultants vary. You would like them to get in touch with you and give your reports often, but some companies are not open to the idea. What’s your preference? Would you like them to contact you by mail or by phone? What’s your preferred frequency for updates? Not all your demands will be met, but while talking with them, you’ll get at least a sense of whether you’re getting a good match, or a bad one. We are search engine optimization specialists. We have helped many companies grow their businesses and increase their revenue. But don’t take our word for it. Read what our clients have to say about us.